We develop and implement ad-hoc technological solutions for our clients. At Nivoria, we are early adopters of any technological solution which enables us to optimize our marketing strategies or develop our clients’ e-commerce, website and mobile projects. From the beginning, we have integrated technology into each of our business areas to improve the quality of our services. This resource enables us to manage each project or campaign phase, from monitoring our KPIs, automatizing tasks, optimizing actions and understanding the customer journey, to improving response time. We provide you with guidance on selecting, deploying and making the very most of the appropriate technological tools to make your business a success. LOOKING FOR HELP WITH YOUR DIGITAL MARKETING? Contact us and we will guide you through all the technological solutions we can offer you. We have an in-house team of technicians and programmers who carry out all the development necessary to activate and manage campaigns and technological solutions for our clients. We have advanced mechanisms and tools which give us total technical control over actions, allowing us to provide an immediate response to any incident or need. We carry out made-to-measure development for our clients, such as creating personalized content management systems and complex API connections. We have created our own platforms and technological tools (FRP, ad server, etc.) that provide technical support to the company’s internal management, enabling us to offer better results to our clients. 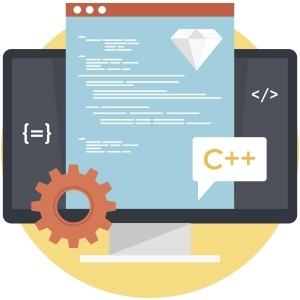 We are also experts in open-source software programming languages, such as PHP and Python, and we adapt solutions to your specific needs, meaning that costs are reduced. Nivoria’s technical team, together with our trusted partner, Arsys, offer 24/7 support to our clients on advanced hosting solutions, whether they are made-to-measure or standard.